As part of the large-scale deployment, Mood was responsible for installing a new innovative video solution while also replacing the luxury brand’s current in-store sound with custom-designed music. Specializing in luxury writing instruments, watches, leather goods, jewellery and perfumes, Montblanc is able to offer its customers a dynamic environment, creating a balance between contemporary design and classic elegance. Using different video solutions, Mood Media and Montblanc created a multi-sensory experience, immersing customers into the world of Montblanc. The installation process began more than six months ago across five continents, with 12 sites already equipped with the new solutions. 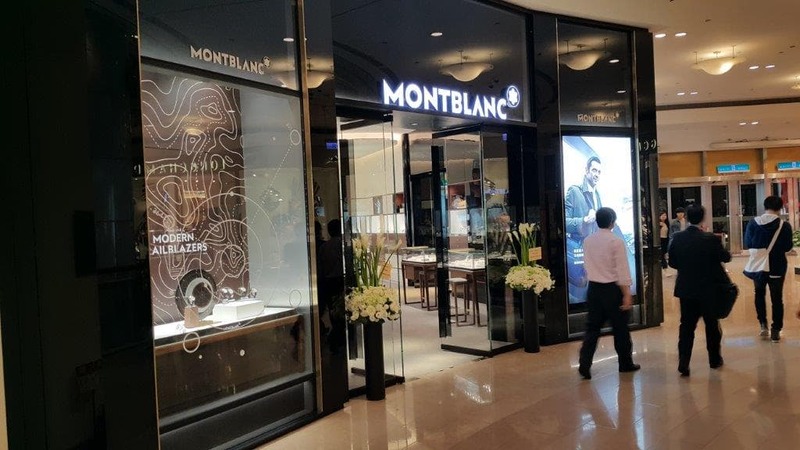 The deployment will continue across Montblanc’s network of more than 500 boutiques around the world, with the speed of the implementation continuing to accelerate at the end of 2016. Additionally, Mood Media has also installed a high brightness window display at Montblanc’s Hamburg Neuer Wall Flagship store: a 4860 x 1372 mm wall made of (8) 55″ synchronized screens. The music program is predominantly instrumental with a 2:1 ratio between the instruments and lyrics. Mood Media and Montblanc decided to reduce the lyrics within the music in order to support better communication between the staff and customers. For over 100 years, Montblanc has embraced the traditions of lasting value and exquisite craftsmanship. The Maison’s uncompromising principles of design, style, quality and workmanship have allowed it to create heirloom collections that are passed from generation to generation. The iconic Montblanc emblem is a symbol of excellence – the pinnacle of luxury writing instruments, timepieces, leather, accessories, fragrances and sunglasses – and the Maison has made an enduring commitment to encourage excellence through cultural advancement. Montblanc has its roots in writing culture and therefore sees a particular obligation to its own cultural commitment. Through various international activities, the Maison makes a creative contribution to modern cultural life: Montblanc itself writes a small piece of cultural history.